Deresiewicz describes this “characteristically modern relationship”—this faux or fake friendship—in modernity’s language of freedom, flexibility, and fluidity. The moral content of friendship, the pursuit of truth and virtue, so crucial to friendship among the ancients, has been lost. In “Faux Friendship,” Deresiewicz helpfully discusses a number of cultural forces that have led to the “devolving” of friendship from “relationship to feeling”: mobility, impersonal economic relations, the decline of the family, the rise of individualism, technology, social-networking, etc. He offers no suggestions for restoring the richness of the classical conception of friendship. Rather, he thinks that “Facebook looks a lot like the future” of contemporary friendship. We live at a time when friendship has become both all and nothing at all. … As the anthropologist Robert Brain has put it, we’re friends with everyone now. Yet what, in our brave new mediated world, is friendship becoming? The Facebook phenomenon, so sudden and forceful a distortion of social space, needs little elaboration. Having been relegated to our screens, are our friendships now anything more than a form of distraction? When they’ve shrunk to the size of a wall post, do they retain any content? If we have 768 “friends,” in what sense do we have any? Facebook isn’t the whole of contemporary friendship, but it sure looks a lot like its future. Yet Facebook—and MySpace, and Twitter, and whatever we’re stampeding for next—are just the latest stages of a long attenuation. They’ve accelerated the fragmentation of consciousness, but they didn’t initiate it. They have reified the idea of universal friendship, but they didn’t invent it. In retrospect, it seems inevitable that once we decided to become friends with everyone, we would forget how to be friends with anyone. We may pride ourselves today on our aptitude for friendship—friends, after all, are the only people we have left—but it’s not clear that we still even know what it means. “Faux Friendship” provides considerable food-for-thought for those of us concerned about the thinning of friendship in contemporary culture—and also concerned about the two other elements of that foundational social triad that includes family and community. 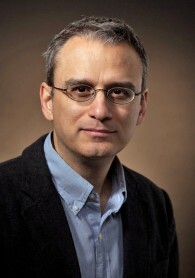 William Deresiewicz is a writer and former English professor at Yale University. He is the author of Excellent Sheep: The Miseducation of the American Elite and the Way to a Meaningful Life. “Faux Friendship” was published in The Chronicle of Higher Education.